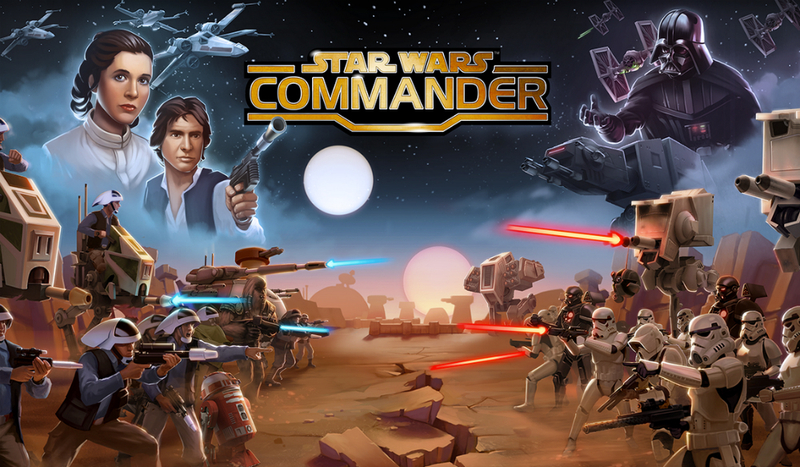 In the new Star Wars: Commander game, published by Disney onto Google Play, you must choose to fight for either the Rebel Alliance or team with Darth Vader and the Empire. Even though you just enlisted, no matter what side you choose, you are made a commander of an entire army. To relate the gameplay to another popular title, it is much like Clash of Clans, but Star Wars themed. You must choose your battle strategy wisely, then lead your forces into battle against opposing forces, capturing enemy bases and destroying whatever weapons they have. Thankfully, this game is based on the first trilogy, so no Jar Jar Binks should be seen. If you enjoy battle strategy games, this should be right up your alley. The game is free to download from Google Play, but does feature IAPs. Make sure you have in-app purchases locked if you let your kids play.